Charge your mobile devices with ease. 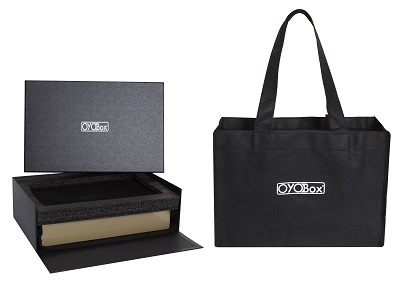 With specially engineered interior partitions and six wire groove entry points, the OYOBox Tech Tray allows you to effortlessly charge all of your mobile devices in style (Smart Phone, Tablet, Fitbit, SmartWatch, Battery pack, etc.). 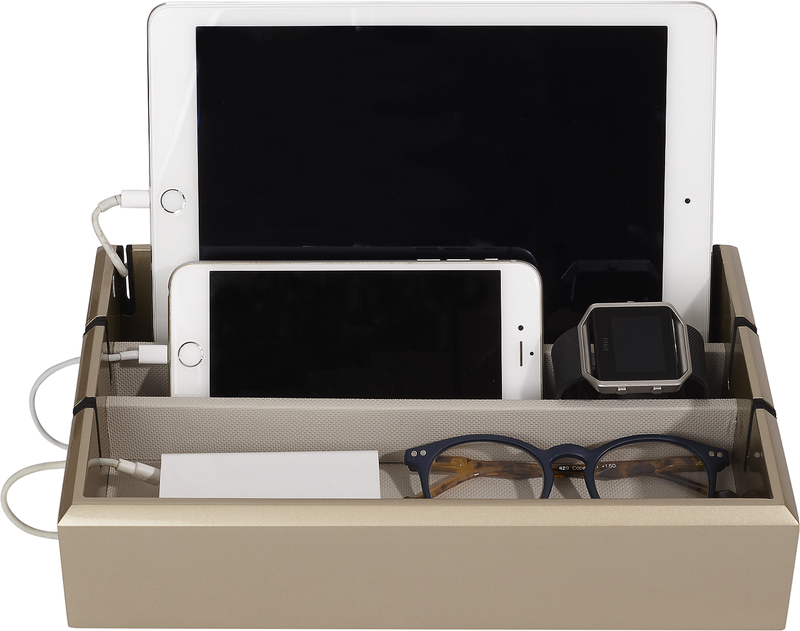 Keeps all of your devices organized in one place, looks great on any desk, table or nightstand. Our Tech Tray holds and charges up to 6 devices simultaneously, and the convenient cord grooves let your devices stand up straight so you can enjoy music or videos while cooking in the kitchen or working at your desk. Our Tech Tray's modern design makes it a stylish accent piece guaranteed to look good in any room. Each Tech Tray is a fine example of luxury handmade craftsmanship.